Dr. Kelly Gabel has been has been honored by the American Health Council as “Best in Medicine.” Dr. Gabel has been warmly welcomed onto the renowned Board of Physicians by the American Health Council, in acknowledgement of his dedication to the healthcare industry and to his role as Chief of Surgery and Anesthesia. With only eight years experience within the industry, Dr. Gabel is proving to be a man with growing influence in the healthcare sector. As a child, Dr. Gabel always wanted to become a physician. He aspired to be like his parents, who were both EMT’s, as he saw how appreciated and respected they were. From a young age, his parents were a great influence on his choice to become a physician himself. 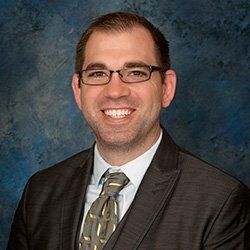 To fulfill his dream career, Dr. Gabel went on to attain his medical doctorate from Kansas City University of Medicine and Biosciences, graduating in 2008. Currently working as the Chief of Surgery and Anesthesia at Citizens Health for the past four to five years, Dr. Gabel continues to fulfill this role successfully. Citizen Health is dedicated to providing care that promotes well-being. Due to being the largest healthcare organizations in northwest Kansas, Citizen Health is able to provide patients with care that isn’t usually available in smaller medical centers. Having the full range of diagnostic capabilities, including cholesterol tests and cardiac stress tests to MRIs, the center is able to give its patients quick and precise results – this improves the overall care quality. CMC’s Specialty Clinic offers its patients access to medical specialists from across the region in a vast range of medical specialties, while keeping patients close to home. The CMC offers an ample range of services and products for its patients, from minor illnesses to more serious conditions, such as adolescent health, cervical cancer prevention, birth control, chemical peels, chronic disease management, geriatrics, annual wellness exams, nursing home programs, occupational medicine, drug testing, flu shots, health promotion, osteopathic manipulative treatments, pediatrics care, ADD/ADHD, allergies, asthma, ear infections, school physicals, STIs, mammograms, bone densitometry (DEXA), hormone replacement therapy, dermatology, fracture care, laceration repair, hearing and vision screenings, IV therapy and pulmonary function tests. Although still relatively new in the healthcare industry, Dr. Gabel has had a few professional accomplishments that he is proud of – especially being a fellow of the American Academy of Osteopathic Surgeons, where he also serves as the Vice Chairman of the Membership Committee. Dr. Gabel is also proud to have been honored by the nurses at The Children Hospital while visiting a resident. Dr. Gabel also won the Physician of the Month Award. He attributes his success to having a strong faith in God, a fantastic family support system, and being extremely motivated in the face of difficulty. Additionally, he is a member of various professional organizations in order to help expand his knowledge and keep up to date with relevant news taking place in the industry. These organizations include the American College of Osteopathic Surgeons, the American College of Surgeons, the Society of Critical Care Medicine, Kansas Medical Society and Kansas Association of Osteopathic Medicine. Being a charitable man, Dr. Gabel also supports Samaritan’s Purse World Medical Missions to Togo, Africa. Looking into the future, Dr. Gabel aims to expand his hospital to a regional presence and continue to be a renowned name within the expertise of laparoscopic care, thyroid care and general surgery. Dr. Gabel enjoys an array of activities in his free time, including hiking, golfing, playing guitar and running. He is heavily involved within his local church where he is a worship leader and an acting board member. Dr. Gabel is also an acting board member of Heartland Christian School and loves spending time with his wife Sarah and three children Elijah, Aleha and Korin. Citizens Medical Center is dedicated to providing care that promotes well-being. Citizens Medical Center, Inc. is the largest health care organization in northwest Kansas. This allows them to provide patients with care that is usually only available in large metropolitan medical centers. From cholesterol tests and cardiac stress tests to MRIs, their full range of diagnostic capabilities can provide their patients and medical providers with rapid and accurate results. CMC’s Specialty Clinic offers you access to medical specialists from across the region in a wide range of medical specialties, while you remain here close to home.